Three colonies of Synoicum chrysanthemum sp. nov. The 'bust' of an ascidian zooid, showing inner and outer structures. 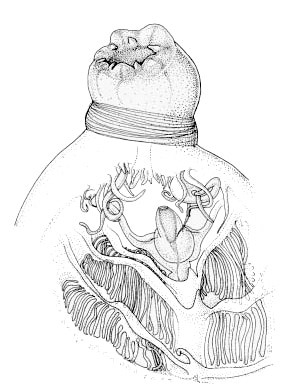 A figure from the publication, showing the (A) colony and (B) thorax and abdomen of Aplidium crustum sp. nov., and Aplidium eudistomum sp. 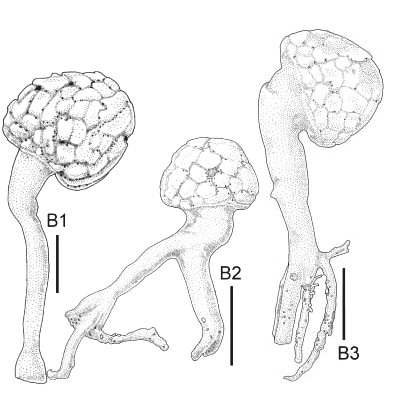 nov. (C) colony exterior, (D) colony in section, and (E) internal organs of the zooid. 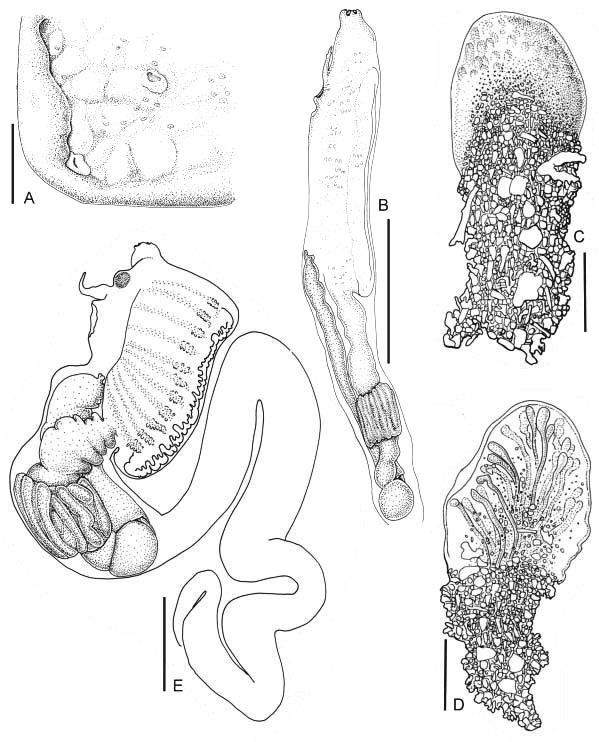 A series of over 90 drawings to describe ascidian specimens from Western Australia. Specimens were drawn from the microscope (compound and dissecting) using a camera lucida. Kott P. 2008. Ascidiacea (Tunicata) from deep waters of the continental shelf of Western Australia. Journal of Natural History42 (15), 1103 - 1217. 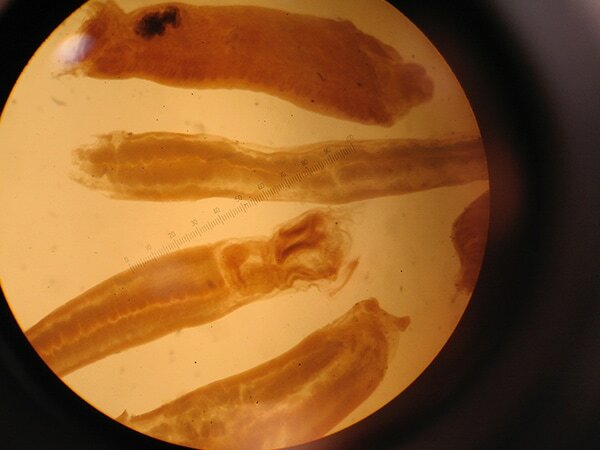 Specimens seen through compound microscope: sections of Synoicum implicatum zooids, including an intact gut loop (centre).